Try small quilt and quilt block patterns when you need a quilt for a gift, for home decor, a little crib quilt, or any other special project. You'll find many quilt block patterns that offer a choice of sizes and it's easy to mix-and-match block sizes within the same quilt if you'd like to design a unique project. Bow Tie Quilt Block Pattern: Choose from three different finished sizes when you sew a quick-pieced version of this traditional patchwork quilt block. Fool's Square Quilt Block Pattern: This 5" square quilt block is perfect for baby quilts and wallhangings. Play with color and contrast and to see how easy it is to create a 3-dimensional look with this easy quilt block. Churn Dash Quilt Block Pattern: Choose from two finished sizes when you sew these simple patchwork quilt blocks. Ohio Star Quilt Block Variation: Make 3" square quilt blocks or sew other sizes of this Ohio Star variation. Sarah's Choice Quilt Block Pattern: Sarah's Choice is a star quilt block. Choose from four different finished sizes when you design a quilt. Single T Quilt Block Pattern: Try this easy quilt block pattern to make a colorful scrap quilt. Choose from three block sizes. Miniature Bear's Paw Quilt: This miniature quilt finishes at 19" x 19". The quilt blocks are surrounded by sashing and cornerstones. Miniature Christmas Tree Pattern: Here's a 29" x 31" tree quilt that looks best when you sew with a scrappy assortment of fabrics. Scrappy Miniature Whirlwinds Quilt Pattern: Try this if you're new to paper piecing. The 21" square quilt is assembled with little Whirlwinds quilt blocks surrounded by two borders. Little Oddfellows Star Quilt Pattern: Finishing at about 21" square, this paper pieced miniature quilt is a bit challenging. It's not difficult but is definitely packed with patchwork. 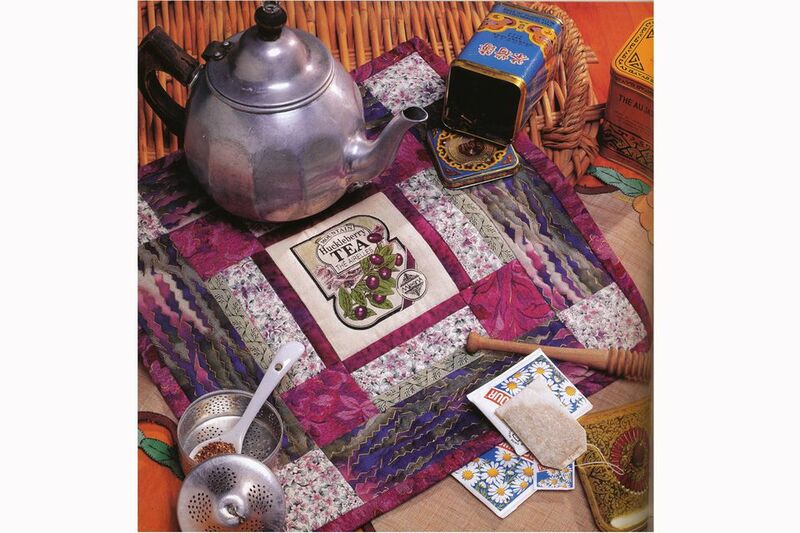 Amish Style Miniature Quilt: This 25" square miniature quilt is shown in the illustration. Grace's Spools Miniature Quilt: Here's a slightly larger quilt that finishes at 36" x 36. The Spools quilt blocks finish at 6" square. Walk Around the Block Miniature Quilt: Try this 22" square project if you love medallion quilts. Patchwork surrounds a focal fabric at the center of the quilt. Miniature Attic Windows Quilt: Here's an Attic Windows quilt with a twist. Blocks are variable and can be configured in different ways to create a unique quilt.